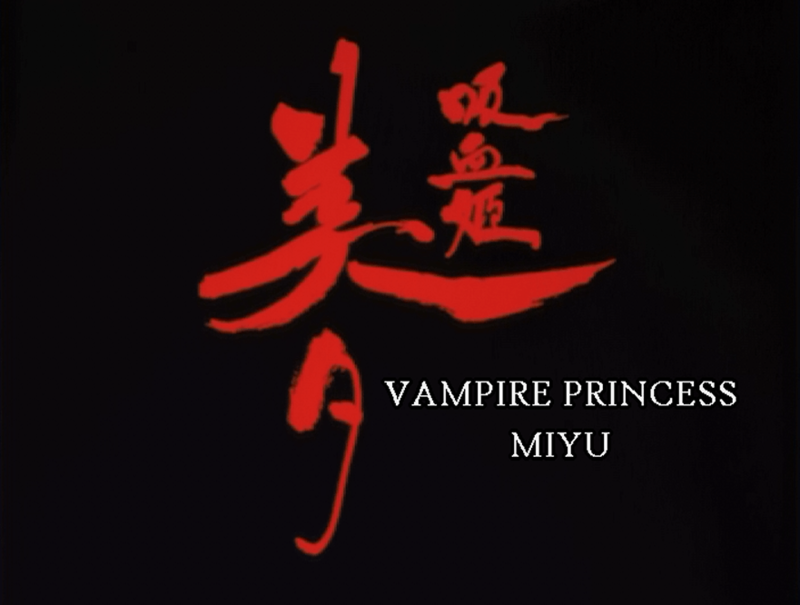 As promised last week, this week we’re taking a look at the TV series incarnation of Vampire Princess Miyu. 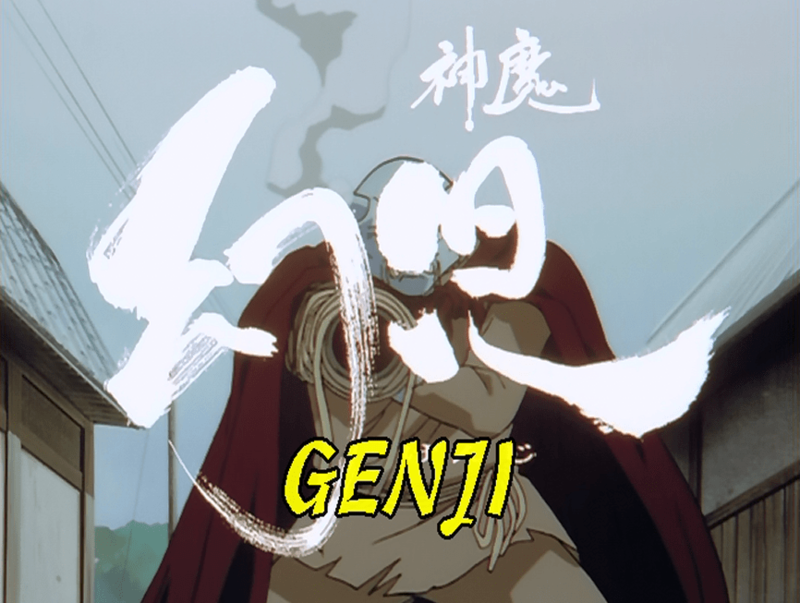 Like the OVA, the series was animated by AIC, and was directed by Toshiki Hirano. Kenji Kawai also returned to compose the soundtrack for the series. In total, it ran for twenty-six episodes from 1997 to 1998. Like the core staff members behind the show, the premise of Vampire Princess Miyu is much the same as its OVA form. Miyu, a vampire with the appearance of a fourteen-year-old girl, hunts down stray demons called Shinma and sends them back to the dark world using the power of her flame. She receives support from Larva, a western Shinma whom she defeated in combat, and who swore allegiance to her after their blood became mixed in battle. Miyu returns for more Shinma-hunting adventures. But for everything that’s the same, there’s also quite a lot that’s very different. 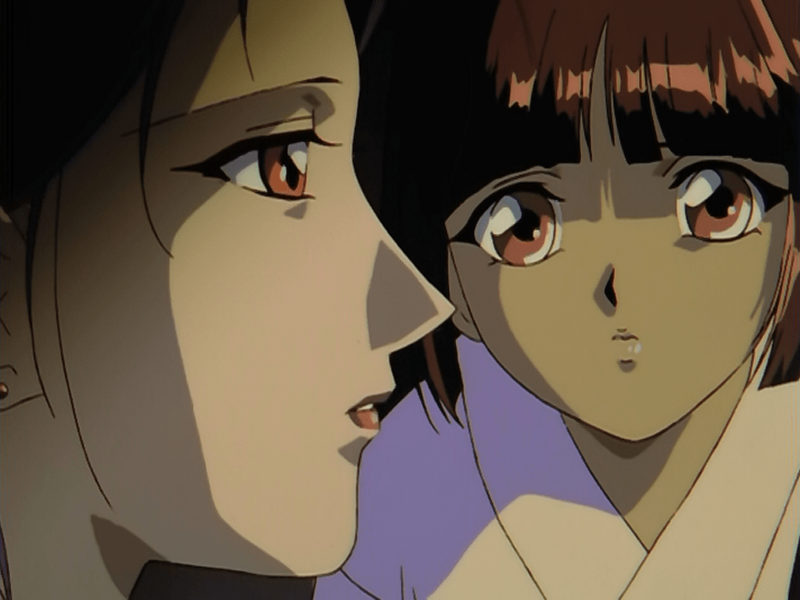 Himiko, the spiritualist that crossed paths with Miyu in the OVA, is entirely absent in the television series. Instead, there’s a whole host of new supporting characters, coming in three sets. The first is Shiina, a low-level Shinma that bears the appearance of a cute, if otherworldly bunny. Cute, that is, save for the demonic eye it can use to identify Shinma’s weaknesses and scout long distances. You can probably guess which eye that is. From another side, there’s Reiha, a snow maiden with the power of cold at her command, and her mouthy doll, Matsukaze. Together, they appear as sometimes friend, sometimes foe to Miyu, harboring a desire to take the role of Guardian for themselves. Despite their desire to hunt stray Shinma, however, the duo has little compassion for human life, and will kill if they feel the ends are justified. Reiha and her doll Matsukaze both help and hinder Miyu throughout the series. 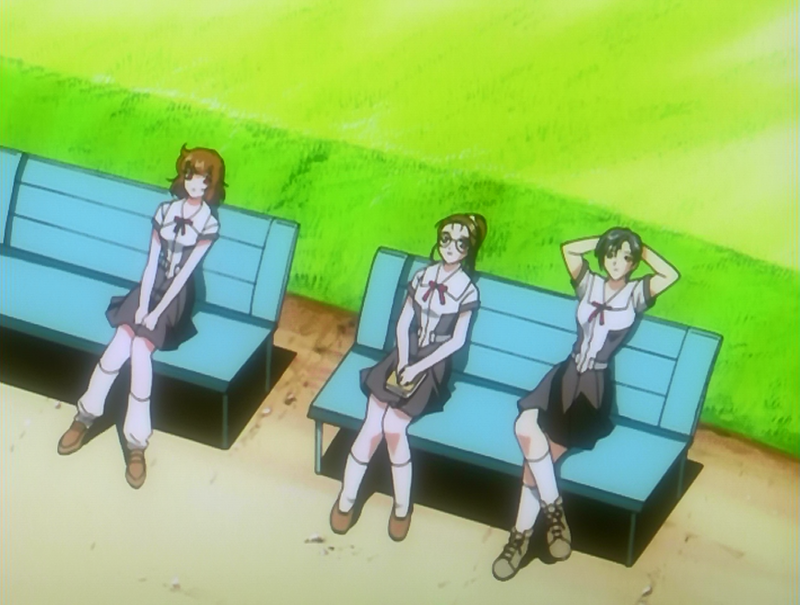 Finally, there are a trio of schoolgirls whom Miyu befriends while attending a local junior high as cover for her work. Miyu joins the company of the cheery Chisato, reserved Hisae and tomboyish Yukari largely at Chisato’s request, and is friendly with them while remaining distant about herself and her true purpose. Chisato in particular becomes quite fond of Miyu, and their friendship grows close despite Miyu’s need to keep a distance. 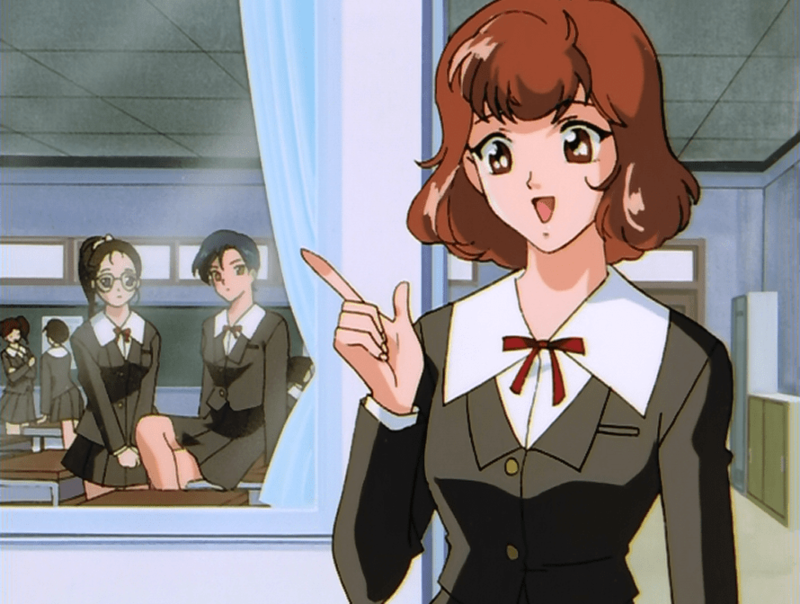 Chisato (in the front), Hisae, and Yukari become Miyu’s friends and are frequently on the edges of the events she investigates. As for Miyu herself, though her physical appearance is no different, her personality and background have changed vastly from the OVA. She no longer has a childlike temperament, and is instead quiet, stoic, and serious. Her smiles are faint, and the moments she engages in humor are rare, the best example being when she pretends to be a ghost to fake out a taxi driver for a good, innocent scare. Her backstory, revealed late in the show, is also rewritten entirely, making the TV show and OVA vastly different productions. 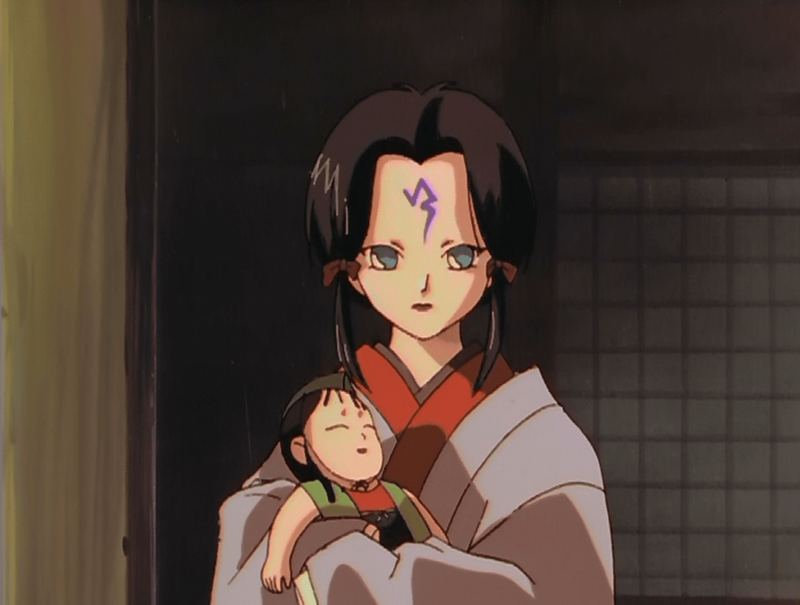 In the TV series, Miyu’s mother is her human parent; a flip of her OVA heritage. Some of these changes, particularly those related to Miyu as a character, may turn some OVA fans away, but while it’s different, it’s really no better or worse. It’s simply an alternate take on a familiar character that doesn’t stray from the core elements that define her. And Miyu’s more stoic demeanor seems fitting for someone that’s been a perpetual teenager for close to a century. She’s grown up mentally, though not physically. 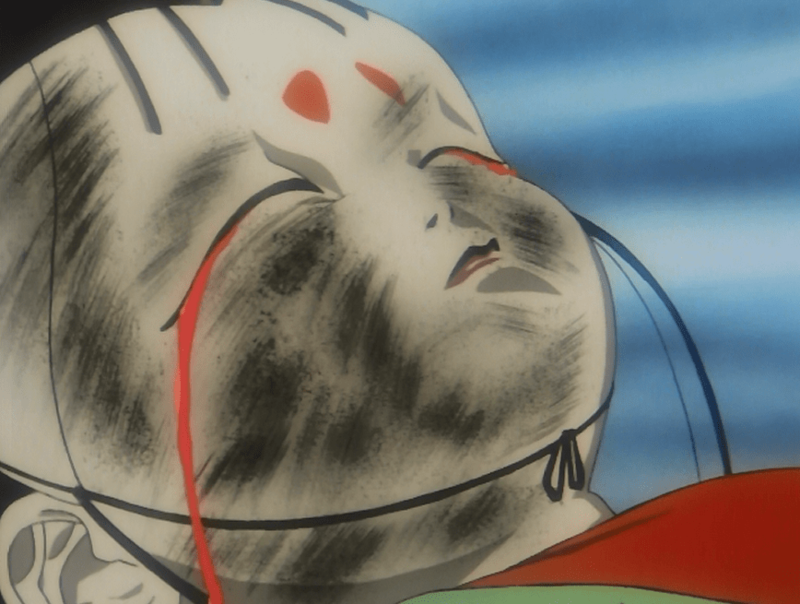 For the most part, each episode is like that of a horror anthology, with the Shinma-of-the-week causing some sort of trouble for humans before ultimately being done in by Miyu. 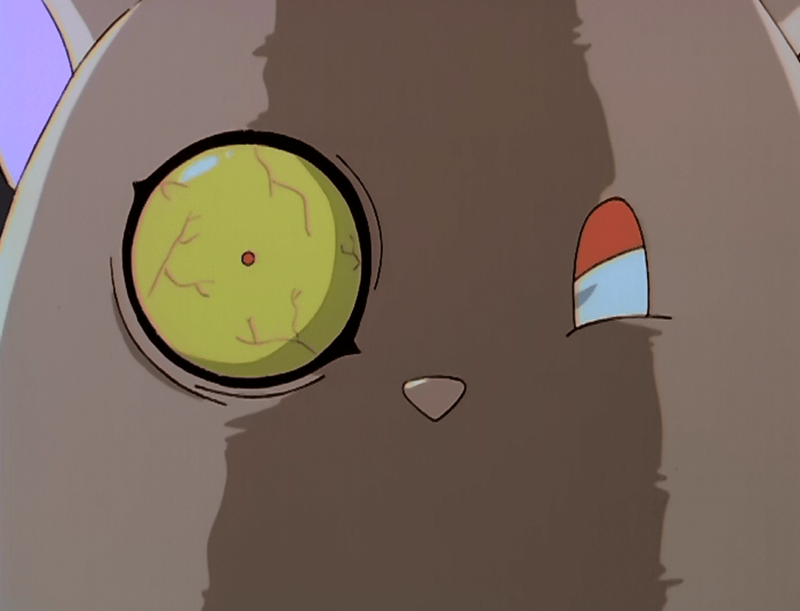 Though the variety of Shinma plots and disguises sometimes feel like retreads (one episode features a Shinma disguised as a dog, while a later episode features one disguised as a cat), it’s the details in the writing that matter. Each episode offers its share of twists, and many are capable of standing on their own as being memorable. All the while, as Miyu hunts one stray Shinma after another, the plot threads concerning Reiha and Miyu’s human friends slowly wind up, finally seeing resolution in the final few episodes. Miyu’s rivalry with Reiha leads to an inevitable confrontation. The show is consistent in its formula, down to the most basic stylistic touches. For example, when a Shinma is first revealed in their true form, their name appears on the screen in large, calligraphic brush strokes. The variance in flow tends to come from how much screen time Miyu and her companions actually receive. In most episodes, Miyu is front and center, as one might expect, while others spend a great deal more time on the human or humans that have fallen into a Shinma’s trap, with Miyu making her entrance to defeat the Shinma the moment it reveals itself. No matter how early or how late the Shinma is revealed, the stylistic fanfare is always the same. The writers are also aware enough that the formula can only go on for so long before other characters, in particular, Miyu’s school friends, start becoming suspicious. They don’t remain blithely ignorant toward the numerous odd happenings that seem to occur when Miyu is around. But just as they begin piecing things together, events take a very sharp turn toward an appropriately dark conclusion. Chisato, Hisae, and Yukari end up caught in a dark web by the end of the series. In some ways, Vampire Princess Miyu is almost like a horror equivalent to a magical girl series; Miyu attends school by day, hunts Shinma by night, and has a cute animal helper in Shiina and a mysterious black-cloaked male assistant in Larva. On the other hand, it’s very much a horror show, and the content, while frequently not graphic, still sees characters die or otherwise end up suffering in ways that can be disturbing. 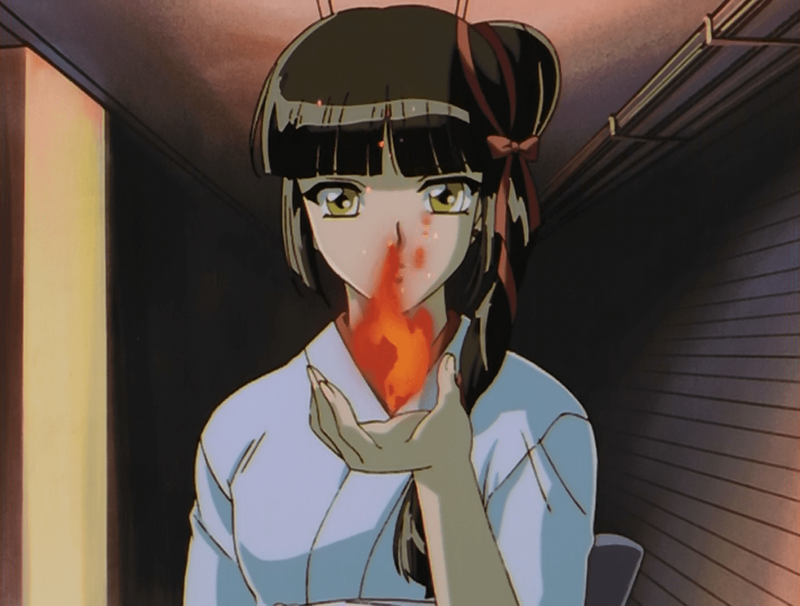 It’s definitely not for younger audiences, but fans of the Miyu OVA and those in general looking for an entertaining horror series with a fun lead character would do well to give it a look. Vampire Princess Miyu was released on DVD in North America by Maiden Japan. The release features both the original Japanese with English subtitles, as well as the English dub previously produced by Tokyopop. The series is rated TV-14 for violence.